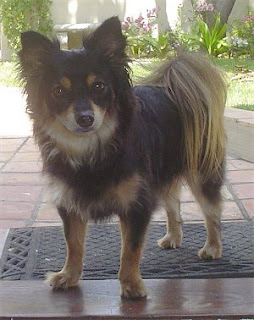 This dog breed was developed by the crossing of two breeds the Pomeranian and poodle, they are generally known as designer dogs. This breed of dog is bold, strong and energetic, they are loyal and loving with their masters and have a decent appearance. They are not good with old people and children and are not recommended as indoor house dogs. They become aggressive and impatient if they are left alone for long periods of time. This breed of dogs are good protectors and alert, they have a tendency to inform their family members about any unrecognized voice or of any strangers in their vicinity. Generally pomapoo has a single coat but sometime they can be available in double coat. They are good learners and need good patient methods of training, they cannot respond to harsh and impatience in their training methods. They are good in apartments and do well if they are provided regular exercise. The grooming is dependent on the coat of the breed generally the need regular brushing and professional clipping. Like other dog breeds they may be prone to such health issues as hypoglycemia, patella luxation, eye infections, skin problems, epilepsy, and PRA.